Jonny Heinrich Reinert was born on May 19, 1929 in Herne, Germany, a city in North Rhine-Westphalia, in the Ruhr area. 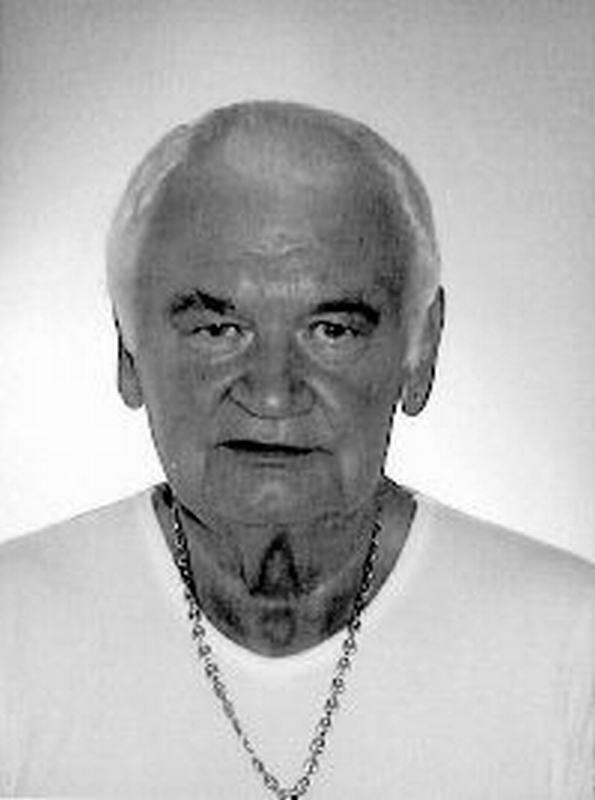 He died on August 22, 2004. 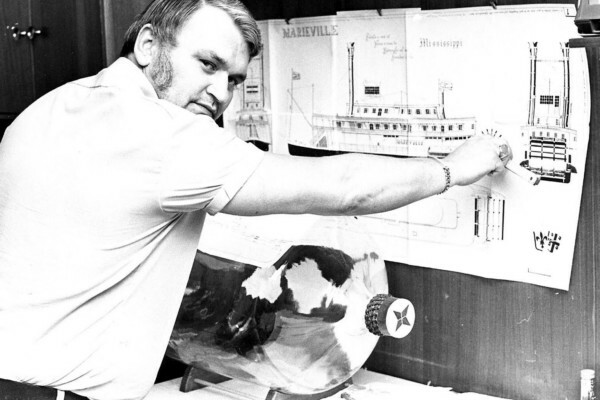 His love for building ships in bottles developed in the late 1950’s. He was a self-taught artist who continually worked to master new techniques and build each bottle more perfect than the one before. Over the years he elevated his ships in bottles to the highest level of detail and accuracy. 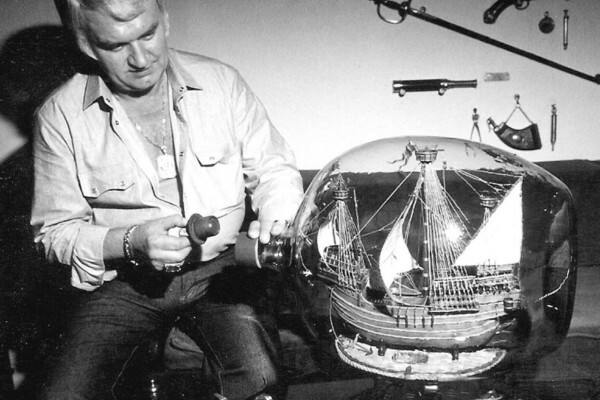 Between 1967 and 1972, he worked for the Buddelschiff-Museum in Neuhorlingersiel where he had 98 of his ships in bottles on permanent display. Other examples of his work are in Cuxhaven Duhnen in L?thel Schiffsmuseum. On August 13, 1982 he set his first world record for a ship built in the largest bottle and became listed in the Guinness Book of World Records. Then, on September 15, 1985 he again set a new record with his ship, a whaling scene, built in a hand-blown 129 liter bottle. Among the many materials he used were fine woods, brass and cow bone. The parts for his ships were built outside the bottle and then he assembled the many individual parts in the bottle, with the final product often ten to twenty times larger than the opening of the bottleneck. In addition to his ships in bottles, Reinert built whole maritime representations in bottles. Along with his museum models, some of the original architectural drawings by Jonny Reinert are displayed in numerous museums and private collections (including H.-J. Kulenkampff, King Juan Carlos I of Spain) - Maritime Museum at Brake Unterweser.